Do you know what’s in your pantry right now? Most of us don’t, and it might be costing us time and money. 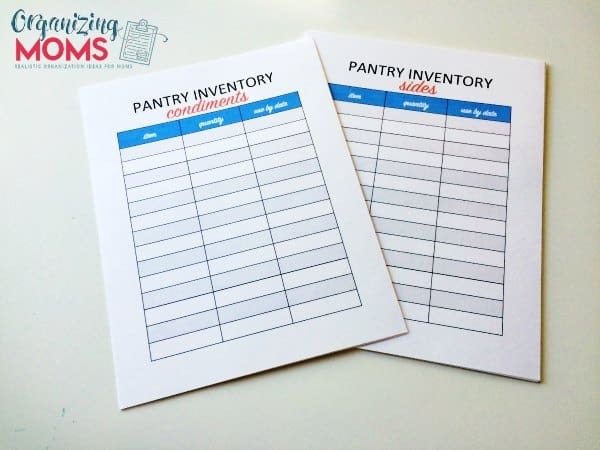 It’s tough to remember every single thing you have stored in your pantry (or cupboards and shelves), but if you create a pantry inventory, you’ll be able to see what you have on hand at a glance. Having a pantry inventory can save you time and money by reducing trips to the grocery store. If you know you’ve got one more jar of spaghetti sauce, you’ll save yourself a trip to the store, and you won’t buy something you don’t need. Building a pantry inventory takes time. 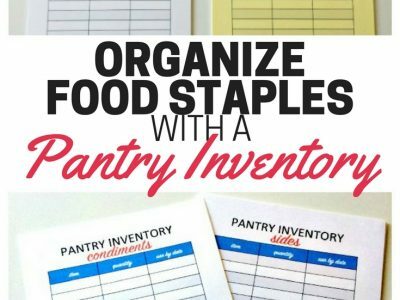 If you do it along with a pantry organization project, you can get your pantry straightened, and have a good inventory that you can use for months. To get started, take everything out of your pantry (or other food storage area). As you’re taking things out, group like-items together. Once your pantry is cleaned out, you can take a look at your groupings and make them into your own categories. 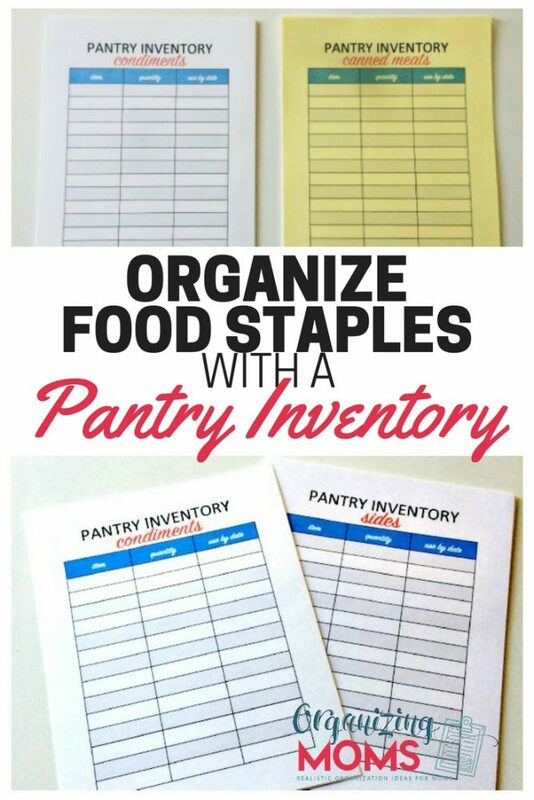 Here are some pantry inventory categories you could use. Of course, if you have a lot of a certain type of item, you can use whatever categories you want. For each category you want to use, have a sheet of paper specifically dedicated to listing items in that category. As you put items back in your pantry, add them to the list. Be sure to include the quantity (2 bottles, 3 jars, etc. ), and a use-by date. 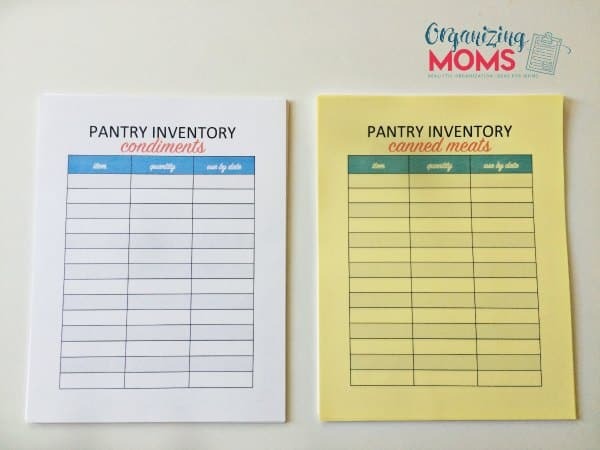 Once you have your entire pantry inventoried, you can use it to help you make meal planning decisions. By just seeing what you have available in your pantry, you can come up with new meal ideas using food you have on hand. When you’re looking at a new recipe, you won’t have to dig through your pantry to see if you have all of the ingredients. With your pantry inventory, you’ll be able to quickly check to see if you have what you need on hand. As you use up items, be sure to cross them off your list so you always have an accurate account of what you have on hand. By the same token, remember to add new pantry items to your running lists after you go grocery shopping. Want to use the same printable inventories used in this post? 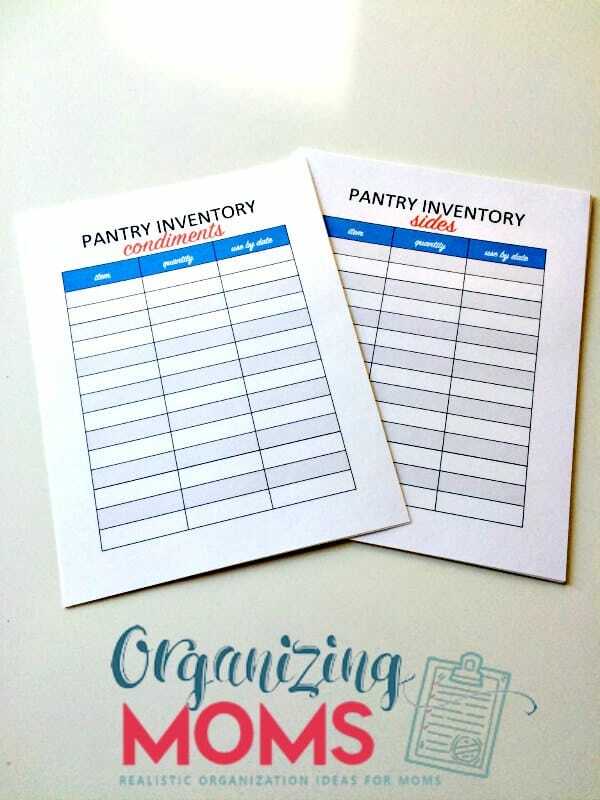 You can get your own pantry inventory printables here. Looking for more? Click here if you need to inventory your freezer!